There comes a time for all of us when we have to quit talking and start doing. 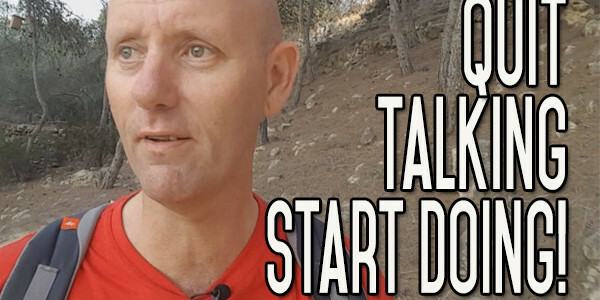 Today’s video is about quitting talking and getting moving. I’m all for sitting down and doing a bit of thinking. Preparation is a good thing. The easiest part of this for anyone is the actual stopping the drinking. There’s no planning involved in that. You just stop putting the stuff into your body, into your mouth. The most difficult part is filling the gaps. What are you going to do now when you don’t drink? What are you going to do coming home from work if you don’t drink? What are you going to do now to socialise? How are you going to still meet up with the same group of friends? Are you going to still try and do the same things that you used to do? These are all questions that you have to answer, and you’re always going to be better off trying to find these answers before you stop drinking. Before you go out to the battlefield, it’s good to have a battle plan. If you just rush in blindly, you’re likely to get your head blown up. Same thing here, a little less figuratively. A lot of people fail because they don’t think things through. They don’t think about the consequences of what they’re doing. But, there’s a time for thinking and there’s a time for doing. How many people I hear from every single day who day ‘Well, I’m not there yet. I’m still drinking. I’m doing a lot of thinking about it. I listen to your videos’, and all fair and good, it’s a good start. I think there’s a lot of good stuff in the videos. A lot of mistakes that I’ve made, a lot of stuff from my past, a lot of mistakes that I’ve seen other people make in their lives. But, at the end of the day, nothing is going to change if you procrastinate. If you don’t take things into your hands, push yourself forwards and go ‘today is the day, now is the time. One of the bigger reasons for people procrastinating is the fear of changing. That’s where the preparation comes in. 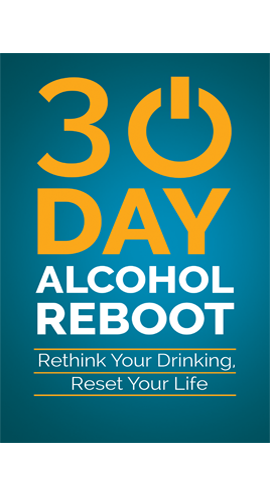 If you can cover the bases and understand your drinking and understand what you’re going to do to change those things, then makes it a lot easier for you. I was talking about consistency in another video that I’ve just done. 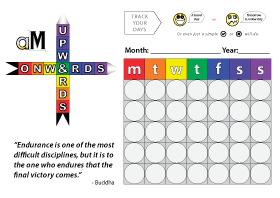 Consistency is repeating something over and over again. If you’re building a habit, you have to do it over and over again. And you’re better off in the beginning to do exactly the same thing over and over again. Because the more of the same thing that you do over and over again, the more your brain recognises it as similar to the last thing. It’s never going to be exactly the same thing, but it’s these similarities and repeated actions that are going to build new habits. It’s the same thing the opposite way. 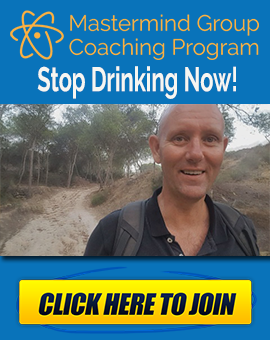 The repeated non actions, the repeated not drinking alcohol, that’s going to destroy the old habit. It’s like a muscle, if you don’t use it, you’re going to lose it. One of the things that will really make a difference to you is your commitment. Like I said before, you can be motivated to do something one day and not the next day. You can be motivated by a single reason one day, and the next day not have motivation for that same reason. But you can have commitment and that can stay with you for life just because you say ‘I am doing this. You manufacture the environment for this. You make sure that it will happen regardless of what else happens in your life. 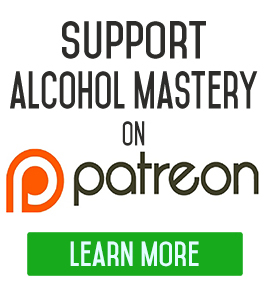 The first two years when I started alcohol mastery, I was putting out a couple videos a week and I really enjoyed doing it. And then I started writing a book and I got a little distracted by that. And then I started the video courses, I confused myself a lot because I knew where I was, but there were so many different things that I wanted to do, and sort of lost focus on one thing. I think you can focus on two or three things. I’m sort of focused on doing the video courses and doing these videos. Anyway, the last few months I haven’t put any free videos on YouTube, something that I really enjoy doing; getting out here walking and talking and just learning new things. When I’m in the process of doing this, a lot of time I run out of new things to say, so I have to learn new things. I have to learn to be able to teach. So, this whole thing making the videos is a learning process. Once they’re up, it’s a learning process for you but the making of the videos is a huge learning process for me, not only in making them but in putting them out. Towards the end of May, I was thinking I really wanted to do this and get more videos out, and I was thinking how can I do this? How can I get some leverage on myself? How can I make two or three videos a week? And I thought well screw that, I’m going to do a video a day. I’m going to put it out and tell everyone through the newsletter. I put the first one out at the beginning of July, and for a full year, 365 days, I’m going to put out daily videos. It’s a daily commitment, each video takes about 3 hours to make from the start of the video to when it’s uploaded on YouTube. When you look at it like that, it’s over 1000 hours of my life that I’m committing to in one year. But, I get so much benefit out of it. I think the people who are watching the videos get so much benefit out of it, that’s the reason why I’m doing it. So, to make that commitment and to stop talking and thinking about it required that commitment. Enough about that, but that’s where I’m coming from. That’s the thing about this. There’s no try because as soon as you start trying, you’re going to think about failing. There is only doing and not doing. Set yourself a date and push yourself over the edge. Give yourself no room for retreat. Close the door, lock it and throw away the key. Find some way of doing that in your life. I guarantee you that if you stop talking about it, stop thinking about it and just do it. Stop drinking no matter what anyone else thinks. No matter what anyone else says to you. Never mind what others are doing in their lives. Your mates and family can carry on drinking, doesn’t make any difference to you. No matter what, you have to concentrate on you. This is your body, this is your life. I guarantee you this, that if you do it, step away from the line and focus not on the alcohol or the past, but on your future and what you can do with your life, then your life will be better. Your life will be much better. There is only do or don’t do. If you have any questions or comments, leave them down below in the comment section. Come on over to the website, give us a thumbs up if you like this video. You can get the audio of any of the videos below the video on the website. EVERY DAY SPENT PROCRASTINATING IS ANOTHER DAY SPENT WORRYING ABOUT THE THING. DO IT NOW AND MOVE ON WITH YOUR LIFE. Thanks for your daily videos! Today I am going to stop thinking about quitting drinking and just do it. Much in the same way you have committed to making a video every day I am going to commit every day until the end of the year and see what happens. Its just too time consuming thinking and planning to quit and never following through for more than a week at a time for the last 8 years. Not going to put any poison into my mouth today. This was a great video.i am having a difficult time when five o’clock comes.i know I have to change my bad habits. It’s so much easier to give in .i know I need to get out walking. I did retire but I am back doing part time work which helps. I do enjoy your videos.